Last Monday (29th July) I was featured with a photo interview in The Times newspaper. 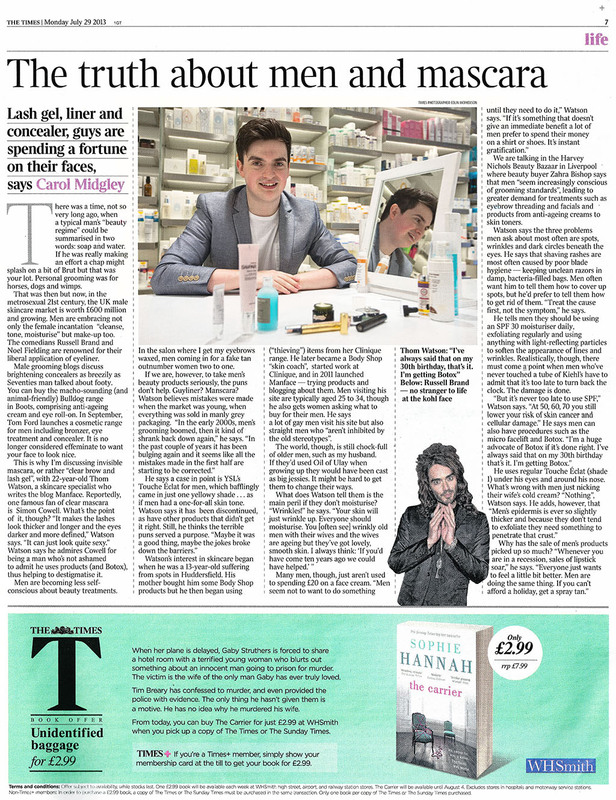 The article, entitled The secret’s out: more men are buying make-up, was written by 2004 Feature Writer of the Year Carol Midgley and photographs by award winning photographer, Colin Mcpherson. 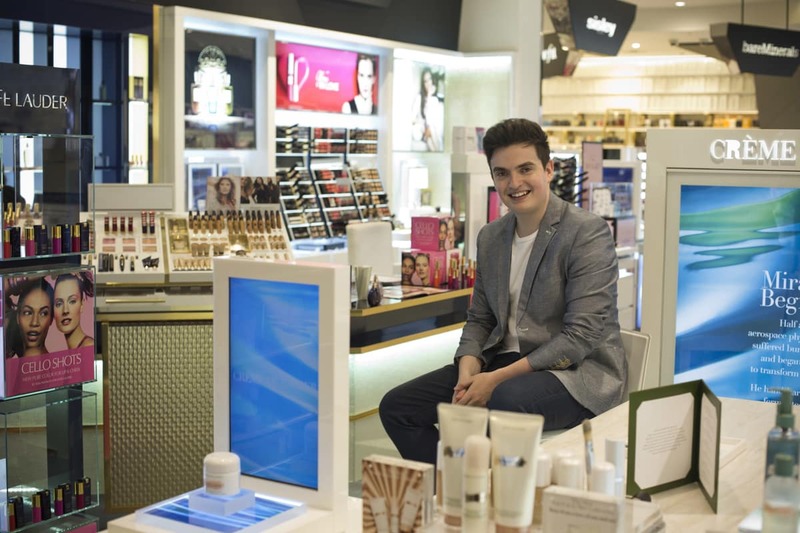 The shoot and interview took place at the Harvey Nichols Beauty Bazaar in Liverpool. Carol and me sat at a table laden with products in the Wow Bar chatting about what it means to be a modern man in the world of beauty and grooming. The store was open during all this so it was an interesting experience to be snapped sat in the middle of the floor whilst staff and consultants hid for cover. I managed to get through the whole shoot by only getting the giggles once. My biggest fear was that photos for newspapers can’t be Photoshopped [photo by Colin Mcpherson][/caption]The picture below was one of the last ones taken. 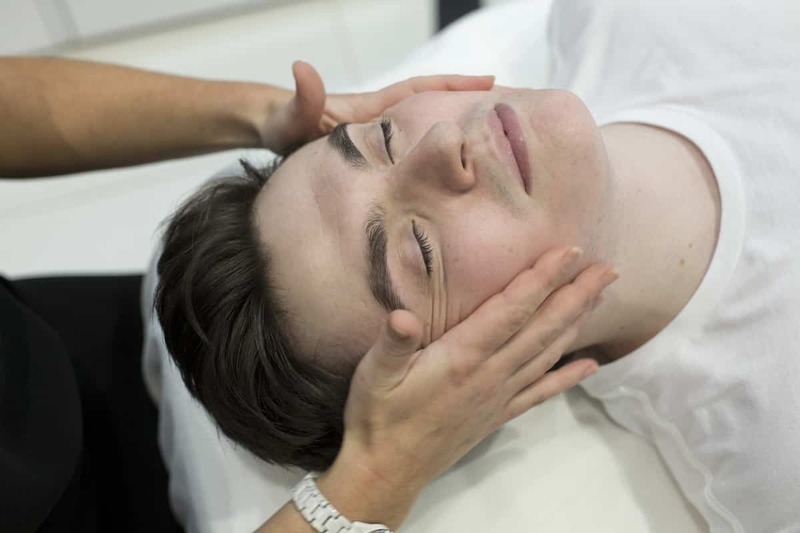 It was on the treatment bed at Carita and I asked the therapist who was to pretend to give me a facial that “When you get hold of my face, pull it back as tight as you can. If it hurts, I don’t care, just pull it all back” and luckily it worked! 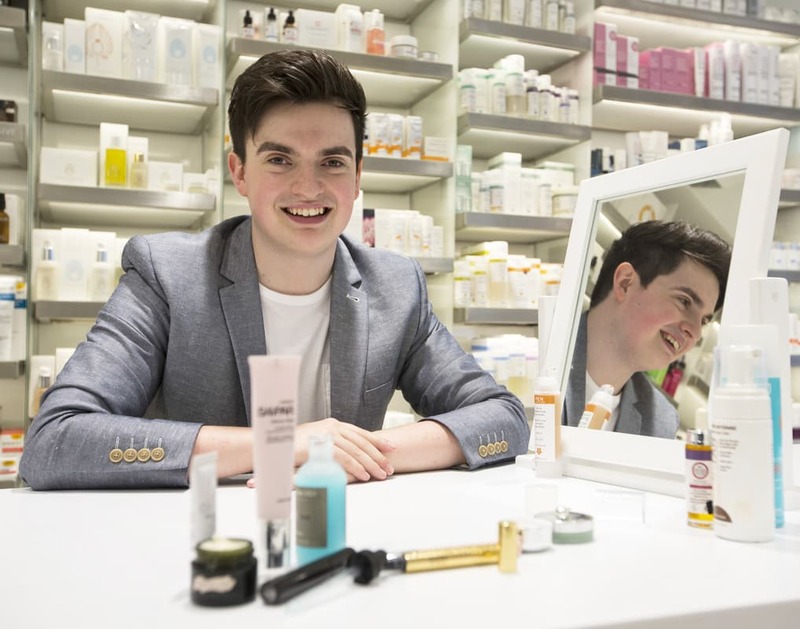 The article is available to read online here which also features my top 10 skincare and makeup products for men. You can see Carol Midgley’s profile and other features here and be sure to check out Colin Mcpherson’s website here. This article first appeared on MANFACE written by Thom Watson. It was published on Wednesday 7th August 2013 and was last updated on Monday 3rd April 2017 at 3:32pm. It's categorised under Editorials where you'll find more related content. Hurrah for this appearing on line as I didn’t see it in print. So good to see you employed the ballerinas classic approach to appearing in the papers ‘just pull it back as far as you can I don;t care if it hurts’! My pleasure, Thom. Your site is just what’s needed, a breath of fresh air by someone who knows what he’s talking about. Hope you both had a lovely time in Spain by the way! Well done, Thom. May your freebie cupboard never be empty.